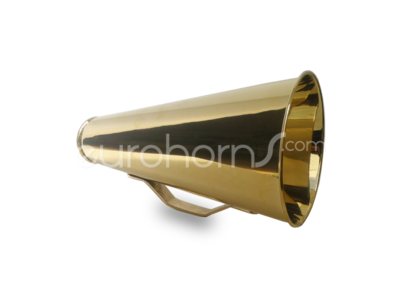 Brass Call Horn, or Megaphone. This Henley model has a wide "mouth opening". This call horn model "Henley" has a large mouth-opening (5,9cm).